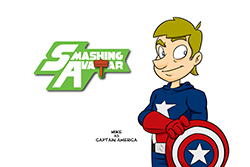 In honor of Comic Con, Ryan drew a number of outstanding portraits of Smashing Avatar characters in cosplay. The first was intended to be an exclusive for people who attended the con, but we ended up with four, one for each character. 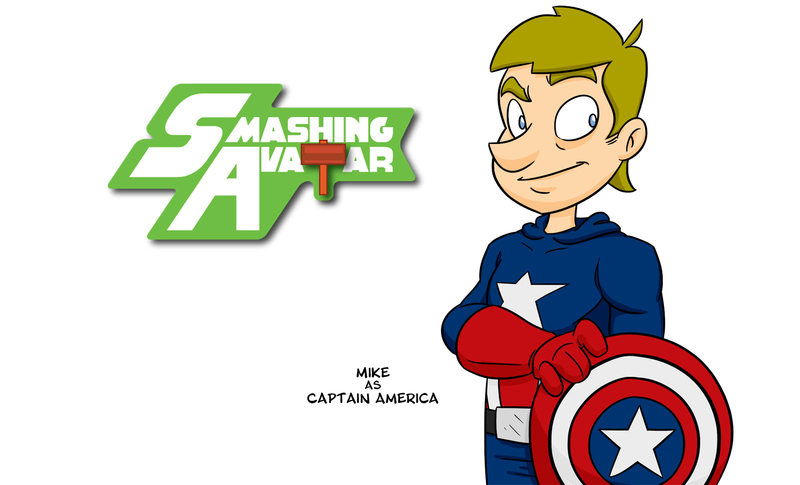 So we’ve decided to share the extras with you, starting with Mike as Captain America. Click to see a larger version.